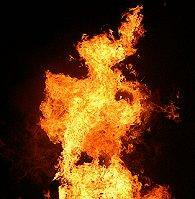 Amusement park ride fires are a very real but very rare type of theme park accident. Understanding what types of fires may occur and how parks respond to them can help eager guests avoid anxiety about these unusual incidents. Arson: These fires are deliberately set, often maliciously. Lightning Strike: The heat and energy of a lightning bolt could potentially ignite a fire on an older, ungrounded ride. Electrical Malfunction: Every ride has extensive electrical components, and a short circuit, frayed wire, or other malfunction can create sparks that may ignite a fire if they come in contact with oil, dry grass, or other combustible materials. Friction Sparks: Rides that move quickly with repetitive motions, particularly high speed spinning rides, generate a lot of heat through friction of the moving parts. That heat can cause friction fires if it comes in contact with flammable materials. Though there are several ways to start ride fires, actual blazes are very uncommon and most parks are well equipped to deal with incidents quickly and safely. During the late 1930s, there were many amusement park ride fires that caused massive destruction to individual rides and parks. It is these fires that many people learn about and become concerned about the possibility of modern incidents, but there were several reasons why fires were more prominent in the first half of the twentieth century. The 1920s were the heyday of roller coaster history and dozens of parks sprang up with wild rides for thrill-seeking guests to conquer. When the economy crashed and the Great Depression began in October 1929, however, most parks quickly lost revenue and closed. Rides, particularly wooden roller coasters that were the centerpieces of many parks, were abandoned, leaving them in poor condition with dry, brittle planks. Small fires that might otherwise have been inconsequential when started by pranksters or accidents became raging infernos, quickly leveling older rides and empty parks. Some of the rides that were destroyed were rebuilt and reopened, though in many cases the ashes were simply swept away for new construction, such as suburban housing and other developments that grew with abandon in the 1950s as the economy recovered and strengthened. While these historic ride and park fires were devastating, in effect they allowed for even greater innovation in the amusement park industry as ride manufacturers engineered new ride designs from steel, treated lumber, and other less flammable materials. Ride locations are stocked with safety equipment. More fire-resistant materials for ride structures, passenger vehicles, and associated buildings. Stringent safety requirements including inspections that can detect potentially hazardous situations. On-site fire safety equipment such as extinguishers, hoses, and water supplies. Employee training guidelines that include emergency response procedures. Park emergency crews and advanced fire fighting equipment that can be deployed immediately. With these precautions in place, amusement park fires can be quickly contained with minimal risk of damage, injury, and other detrimental effects. Even with the best precautions, accidents can still occur and ride fires are not unheard of. The following details are from the few fires that have broken out in recent years. May 18, 2007: A carnival spinning ride in the eastern European country of Estonia caught on fire while operating, and 37 individuals were treated for smoke inhalation and burn injuries. Pictures of this unfortunate incident are available on YouTube. February 1, 2004: A carnival ride in West Palm Beach, Florida has a fire after an oil leak is ignited by friction sparks. Three minor injuries were reported. June 9, 2001: A bumper car ride in Maine ignited after an electrical malfunction but no injuries were reported. May 1, 2001: The Gebirgsbahn roller coaster at Phantasialand in Germany was destroyed by a fire caused by a short circuit in its electrical wiring. The fire also damaged other rides and buildings at the park, and 63 people sustained injuries. July 21, 2000: A small boat ride at Thorpe Park near London, England started a fire that spread to other buildings and rides in the vicinity. No injuries were reported. May 11, 1984: The Haunted Castle dark ride at Six Flags Great Adventure had a severe fire after a rider used a cigarette lighter to try to illuminate the ride's interior. Eight deaths are attributed to this tragedy. While these incidents may seem severe, the fact that they are spread over more than 20 years attests to the much improved safety and fire preparedness of modern amusement parks. Amusement park ride fires are the most dramatic and potentially devastating type of ride accident that can occur, but with modern advances in fire safety engineering and emergency procedures, these incidents are very rare and frequently contained safely. More than 300 million guests visit amusement parks throughout the world annually, and the biggest flames are the flames of excitement as they enjoy amazing rides, shows, and other attractions during their theme park getaways.